Kolkata, the capital of West Bengal, is the cultural, educational, and commercial centre of eastern India. The city?s economy has seen a growth due to the information technology services sector. IT is one of the high-growth sectors in the city that continues to grow over the years. Be Prepared To stay competitive in the ever-growing IT sector, it is imperative to keep your skills and knowledge updated. The Scaled Agile Framework certification in Kolkata provides learners an upper hand in taking their organizations one step closer to success. The SAFe 4.5 program consultant (SPC)training and certification courseis an intensive course that prepares certified SPCs to teach this course. It also gives them the chance to teach the SAFe 4.5 Agilist course. Scaled Agile Framework certification in Kolkata is acoursethat will teach your how SAFe 4.5 principles support Agile programs, teams, and architecture, and Agile program portfolio management. You will also understand how implement SAFe 4.5 programs with the help of Agile Release Trains. 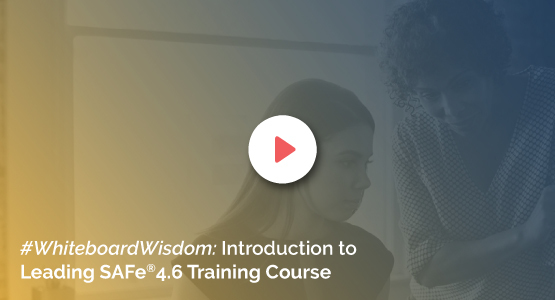 This leading SAFe 4.5 course gives you the necessary tools and templates to identify value streams and launch Agile programs in your organization. A New Alternative SAFe 4.5 in anprovenknowledge base that provides successful methods to implement Lean-Agile systems and software development at an organizational level. Implementing SAFe 4.5 principles increases quality of work, productivity, and reduces time taken for systems and software development. KnowledgeHut?s Scaled Agile Framework training in Kolkatamake sure you keep yourself updated with this globally recognized course that offers multiple benefits. Keeping Ahead of the Curve KnowledgeHut is a one of the reputed providers of leading SAFe 4.5 certification training in Kolkata. Most organizations have certified SAFe 4.5 consultants and practitioners. As SAFe 4.5 has enterprise-level benefits, every organization needscertified experts to implement SAFe 4.5 principles to deliver results. With the certification you receive after Scaled Agile Framework training in Kolkata, you can successfully prepare your organization to take the right steps for continuous improvement that lead to success. KnowledgeHut Empowers You The course material used for this instructor-led training is designed by industry experts and delivered by an experienced SAFe 4.5 program consultant trainer. The classes and the e-learning modules prepare you for the Leading SAFe 4.5exam, passing which will make you eligible to receive the certification. The fee of this course is inclusive of the certification exam fee. KnowledgeHutalso gives you the option of listing your name in the directory of certified SAFe 4.5 Agilistsafter course completion.